The picture on the left shows Raccoon scrap fur. The picture on the right shows Raccoon scrap tails. The tape measure in the pictures is in inches. 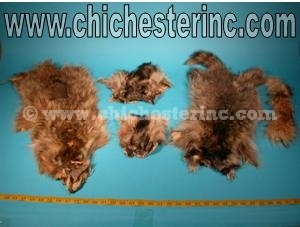 The pictures above are examples of one pound (0.453 kg) of raccoon scrap fur and raccoon tail scrap. 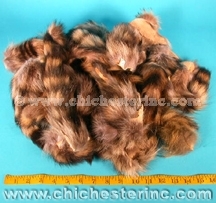 These furs vary in size and color because it is left over scrap. We cannot guarantee matching colors or sizes throughout an order. 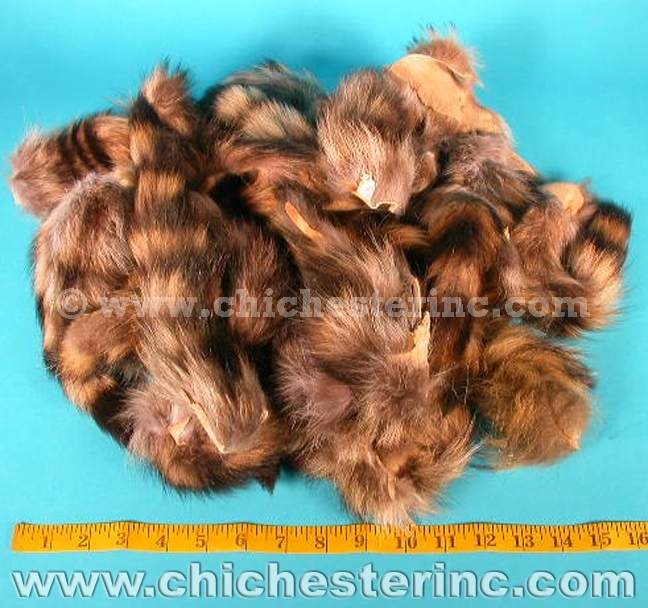 Click HERE for Raccoon Hides.